From the popular ‘My Look and Point’ series comes a 5-page double spread Bible story to delight your 1 to 3 year olds – ‘My Look and Point Noah Stick-a-Story Book’. 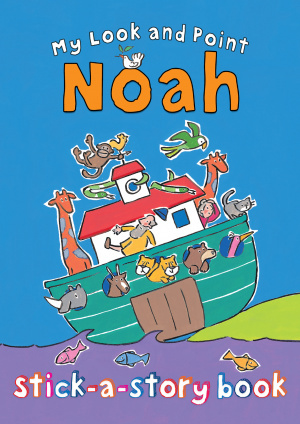 This wonderful series invites your young child to interact with the story of Noah. On each of the double page spreads are plenty of animals to find and recognize, with their name printed clearly next to them. 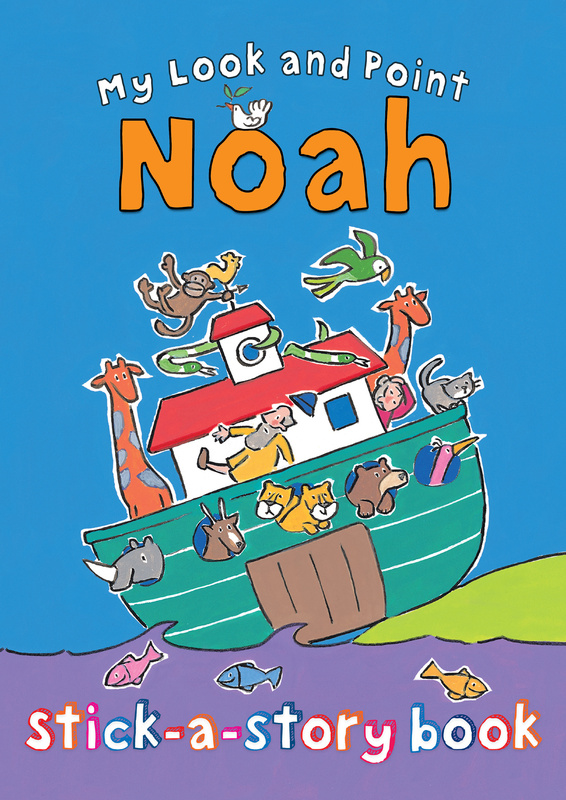 The story flows from page to page, allowing the adult storyteller guide the little listener through the book pausing to look at the animals boarding the ark and point at the birds Noah sends to find dry land. These interactive elements will not only offer a fun storytime for adult and child to share, but also an early learning educational feature to help with simple word recognition and, of course, learning the Bible stories themselves. My Look and Point Noah Stick-a-Story Book by Annabel Hudson; Christina Goodings was published by Lion Hudson in August 2013 and is our 7559th best seller. The ISBN for My Look and Point Noah Stick-a-Story Book is 9780745963952. Be the first to review My Look and Point Noah Stick-a-Story Book! Got a question? No problem! Just click here to ask us about My Look and Point Noah Stick-a-Story Book. A fantastic new sticker book in series with the popular Look and Point Bible (nominated for the Ultimate Christian Library Book Award 2012). 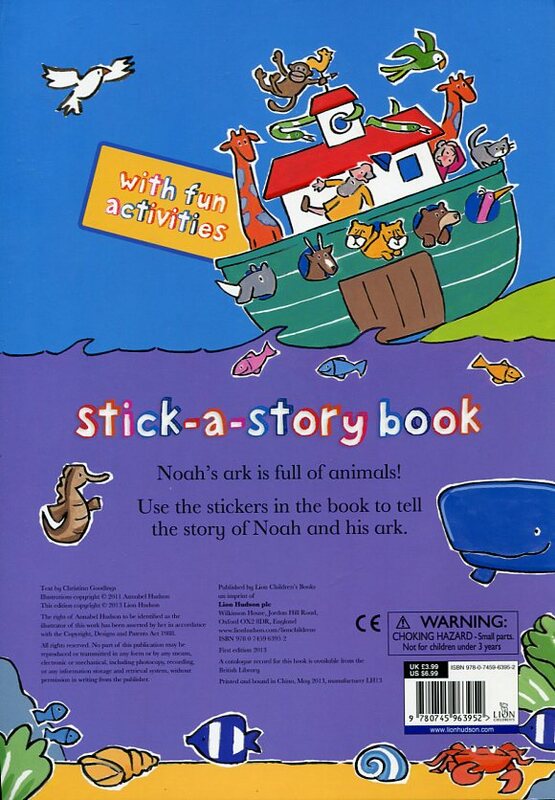 The story of Noah is told over 5 double page spreads with spaces in the story to be filled in, and extra activities at the bottom of the page and at the back of the book. Annabel Hudson's cute, cut-out effect artwork is the perfect style for these Bible story sticker books.